Home•How to Choose A Good Supplier On AliExpress? The most daunting task in dropshipping from AliExpress is finding a good supplier you can rely on and trust. We all have been there! When first starting an eBay dropshipping business from AliExpress, a million fear-based reservations run through our minds. Most of them have to do about how to start approaching the subject and finding suppliers, which is understandable! Will my supplier ship on time? Is my item going to arrive on time? Will the product match item description? How do I even choose a supplier between dozens of suppliers who sell the same product? AliExpress has huge amount of suppliers and to be bluntly honest – it’s your job to sift through the garbage to find a gem. When some of them are selling the same product, the prices and offers concerning shipping and handling time will be different, and it is up to you – the dropshippers, to choose between all these suppliers the ones we trust and can establish a long-term business relationship. Let me take you on a step-by-step process on how to find a good dropshipping supplier for your eBay business. Like with any other website, type in your criteria keyword and in my opinion, narrow down search results in the funnel system. Start the elimination process with choosing to show only products with 4+ starts rating. The number of orders etc. This will significantly decrease the number of products displayed and make you go one step towards finding a good dropshipping supplier in AliExpress. Important: Always strive to work with stores that have been open for more than one year. AliExpress doesn’t give out the Top Brand Status out lightly. The supplier has to live up to a certain standard to receive top brand status. Go through and look at the feedback score, read the reviews costumers have left, particularly the ‘’1-2 star’’ reviews to see what was the reasoning that those people left bad feedback. If you see a recurring problem either with the supplier’s behavior or the quality of the product, maybe you should give up on this supplier/ product at that point. Don’t waste time on a ‘’DUD‘’ and move on – always remember that your time has value – TIME IS MONEY. Combine the information provided by AliTools with the store information to make an educated assumption about supplier reliability. Communication, the most important factor! After we go through all of these checklists, the most critical part into vetting out your supplier is the communication skills of the supplier. Without it, it will be almost impossible to establish a long term business relationship with him. 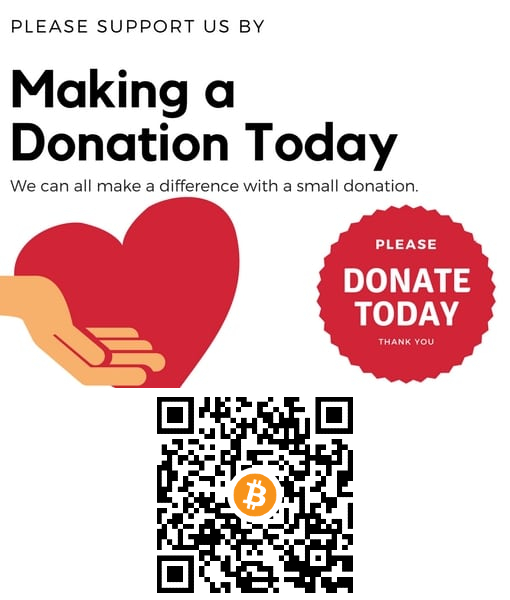 Get them off the AliExpress platform: WhatsApp, Wechat, Skype, it’s much easier to communicate with them away from AliExpress’ detecting eyes and take into consideration the comfort level of not being on the AliExpress chat all the time, especially if you’re going to be talking on a daily basis. Ask questions – always ask questions, don’t assume or think! Just ask. AliExpress’ suppliers will not divulge information unless we point-blank ask them a specific question. Don’t worry, with time, when you get to know each other – it gets better once you building trust levels with one another. Response time– make sure your supplier gets back to you within 24 hours if it takes him longer than that, think about moving on, find alternatives. Don’t waste time on a supplier that couldn’t be bothered to respond to you; it will save you a LOT of unnecessary headaches. During the years I’ve encountered some fantastic tools to ease the work. I would like to share one of them with all of you. 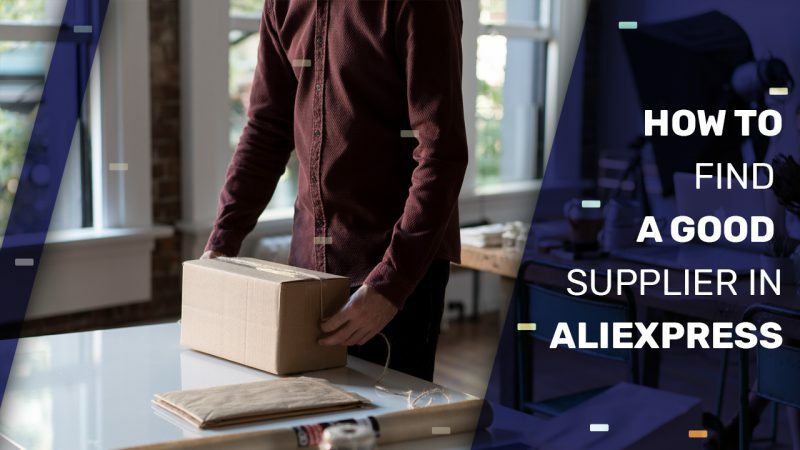 The Oberlo chrome extension is an AliExpress Product Importer for Shopify, but one of its features is very useful for dropshipping in general. Show you if the shipping is free. This extension is a real time saver, as you won’t have to check the search result’s products one by one., all the shipping information the supplier provides is right in front of you. 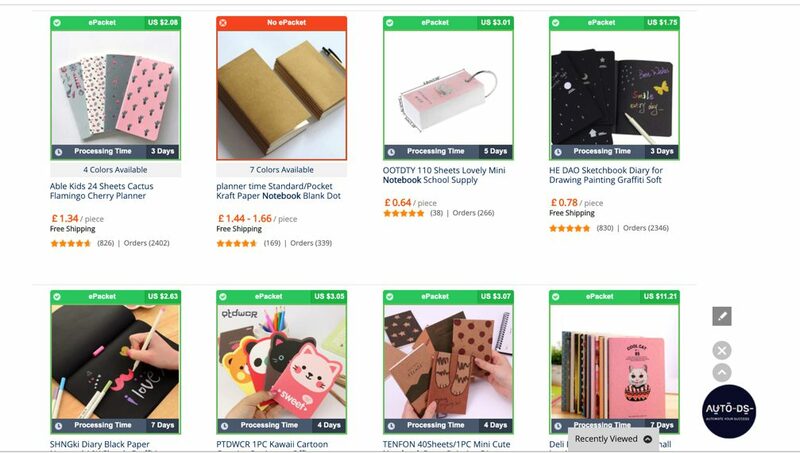 When you finally find the perfect dropshipping supplier in AliExpress, all you need to do is to find a great dropshipping tool to upload and monitor your items. Working with AutoDS is a perfect solution, and there are many reasons why you should use this dropshipping platform for your ebay business. Not only you can upload all your AliExpress items, with all their variations, but also you can monitor their stock and prices. This is also very important to keep your eBay business profitable. I’m Tammy Angel Moore, married to a wonderful supportive man and the mother of a 3-year-old firecracker baby girl. I started my dropshipping career in 2012 while I was a student of Medical Science at the University of Jerusalem in Israel. I did that to pay off school, to quit my 3 jobs and to pay off an upcoming wedding. Since then, what started as a part-time online job, became a successful e-Commerce business with 8 professional wonderful team members (some are former students of mine) that help me run several eBay, Amazon, Etsy stores in the dropshipping field, 2 private labels On Amazon, 2 Shopify websites and the ever-growing social media platforms that drive traffic into my stores.